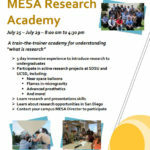 MESA students interested in research, here’s an opportunity to engage with the MESA Research Academy. A one week overview on research which will culminate with a presentation on a short research project conducted at SDSU or UCSD. however, EE, CS and CompE majors are welcome to apply; if you have a strong desire to learn about research. 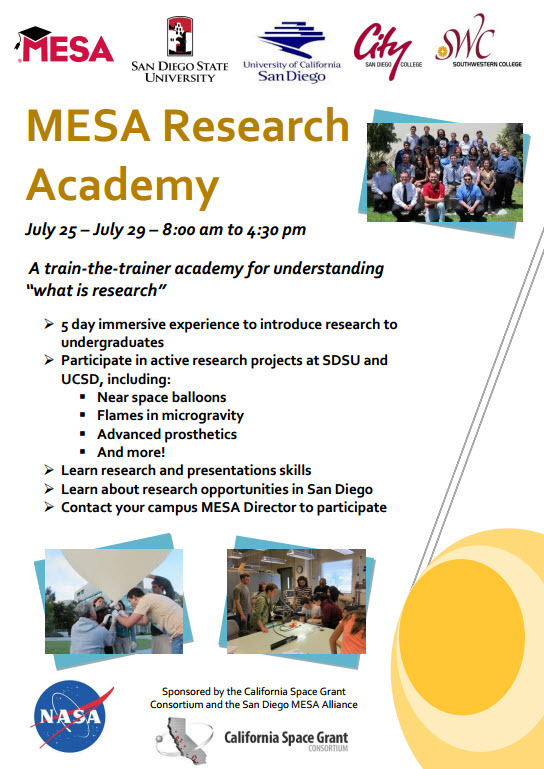 Interested MESA students should have successfully completed SDSU equivalents of Physics 196 and Math 252. Please respond no later than June 17th; the earlier the better.